What kind of evidence is required to support my application? 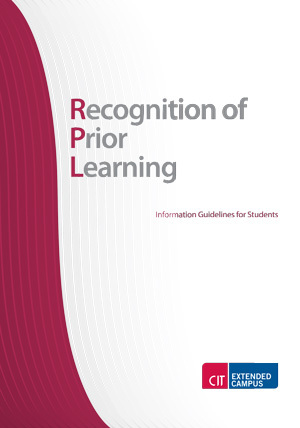 Recognition of Prior Learning (RPL) is when formal recognition is given for what you already know prior to starting on a programme or module. With recognition of prior learning the focus is on learning and not on experience as such. You can apply for RPL in any CIT accredited programme or module. Programmes which are accredited by professional bodies or any external awarding bodies may have their own procedures for RPL which you should refer to. The following handbook provides some useful guidelines for students in preparing a case for recognition. The following video outlines the RPL process in 3 primary steps.